Head 2 Head Hair Designs in Trinity Street are the proud winners of the 2018 Dorchester Christmas Window Competition. But instead of keeping it, Head 2 Head have kindly donated their £100 prize to the Dorset Nightstop Action for Children. Neil Strudwick, President of the Dorchester Business Improvement District, presented the £100 cheque to Simon Keys from Dorset Action for Children at the salon, along with Steve Farnham, President of Dorchester Chamber for Business. Both praised the innovative and the environmentally-friendly design. Simon Shankwin-Adams, the proprietor of Head 2 Head, revealed they had worked hard to build this years’ winning entry, which took six months to design and build. As with his previous entries, the display was built completely from recycled products. “I am very passionate about recycling and feel that we send far too much to landfill with all the problems that brings,” said Simon. In keeping with Head 2 Head’s ethos, their entry did not go to waste after the Christmas period. It was donated to The Prince of Wales School who have used it as part of their display to highlight the loss of the ice shelves. 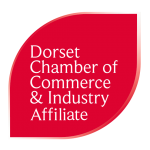 The prize was organised by Wessex FM, Dorset Echo, Dorchester Chamber for Business, Dorchester Bid and Weymouth and Portland Chamber of Commerce who teamed up to award prizes to the best dressed commercial Christmas windows in Dorchester, Weymouth and Portland. Dorset Action for Children, to whom the prize was donated by Head 2 Head, provides temporary accommodation to 16-24-year olds who would otherwise be on the streets. Last year the charity was able to provide 52 bed nights for young people. The prize money has been ring-fenced for their Dorset Nightstop project in West Dorset.